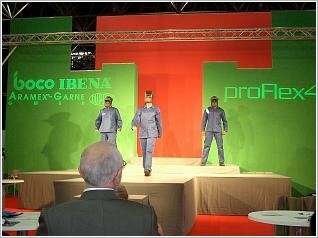 proFlex4® is the result of a professional cooperation of competent partners. Du Pont supplies the high-performance DuPont™ Nomex®- and DuPont™ Kevlar® brand fibres. Further the fibre Viscose FR (flame retardant) is applied. It is Aramex-Garne who spins the threads as per a very special procedure. 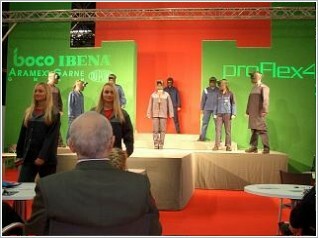 Ibena produces the extremely tight and flat high tech fabric and the garment manufacturer Boco fabricates the unique welding protective clothes. 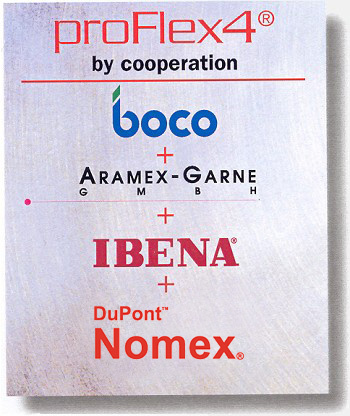 By their know-how, each single partner has given its contribution to proFlex4® for becoming the ideal welding-, flame and heat protection. The most innovative feature of proFlex4® is the unique blend of different fibres to make a special modulated yarn- and fabric construction. As a matter of course a utility model as well as a patent has been granted on this innovation.